Custom Welding in Cayucos, CA. This was a fun one. 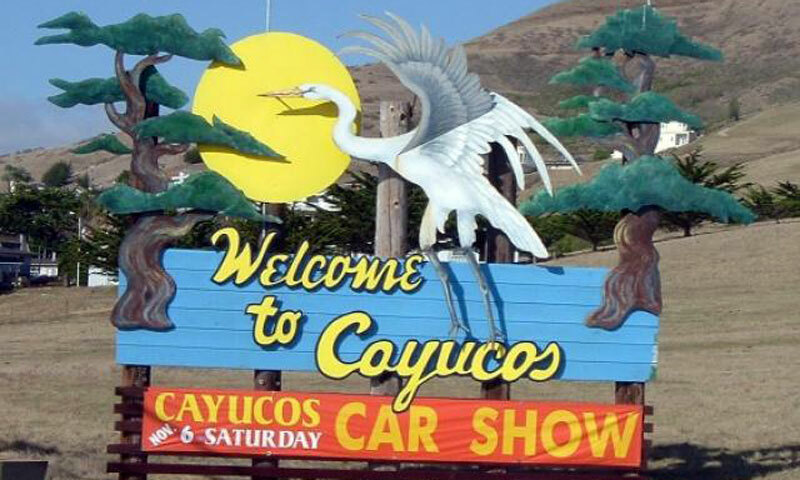 The Cayucos Chamber of Commerce had a decrepit wooden sign attached to the telephone poles outside of Cayucos to welcome people to our quaint beachside community. The picture to the right is the sign on the outskirts of the south side of town – this sign is all stainless steel except for the blue cedar backdrop. 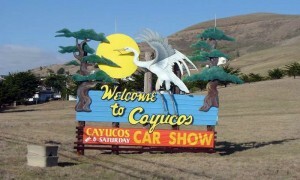 The other image is on the north side of U.S. 1 entering Cayucos – it is fabricated from galvanized steel. We cut the pieces with a plasma cutter and then fit each component with hoops and brackets to enable the shadow effect. Using a plasma cutter for creating metal designs is clean, effective and fast. Our sign clients, including the Cayucos Chamber of Commerce, have all been pleased with our metal signs and designs. After 15 years, the paint was just recently re-done. My friend Alex Rios was the graphic artist, and Linda Brannock blessed us with her painting skills. I am trying to locate my old friend Alex Rios. I know he lived in Cayucos around 1997. That’s the last time I heard from him. He was then working at the Walking W Ranch in Atascadero. If you have any info to help me contact him I would so appreciate it. Thank you.